Program revised from previously announced repertoire. 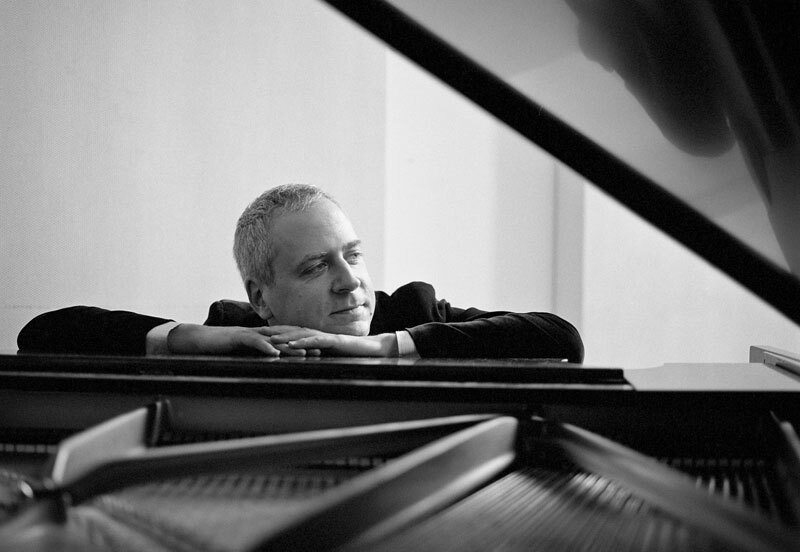 One of America’s most thought-provoking, multi-faceted, and compelling artists, pianist Jeremy Denk is the winner of a 2013 MacArthur "Genius" Fellowship, the 2014 Avery Fisher Prize, and Musical America’s 2014 Instrumentalist of the Year award. He has appeared as soloist with the Los Angeles Philharmonic, the Philadelphia Orchestra, and the symphony orchestras of Boston, Chicago, San Francisco, and London, and regularly gives recitals in New York, Washington, Boston, Philadelphia, and throughout the United States. In 2014 Denk served as Music Director of the Ojai Music Festival, for which, besides performing and curating, he wrote the libretto for a comic opera. The opera will be presented by Carnegie Hall in the 2014-15 season. To coincide with the release of his second Nonesuch Records album, Bach: Goldberg Variations, Denk opened the 2013-14 season with performances of the “Goldbergs” in Boston, Chicago, and Washington, and went on to perform them as part of the Barbican's season in London. The album reached number one on Billboard’s Classical Chart and was featured in “Best of 2013” lists by The New Yorker and The New York Times. Other season highlights included his return to Carnegie Hall with the San Francisco Symphony and Michael Tilson Thomas, and appearances at the Tanglewood Festival playing the Goldberg Variations and with the Philadelphia Orchestra playing Beethoven's Piano Concerto No. 1. Last Summer, he also appeared on tour with the Australian Chamber Orchestra playing Bach. Denk is known for his original and insightful writing on music, which Alex Ross praises for its “arresting sensitivity and wit.” The pianist’s writing has appeared in The New Yorker, the New Republic, The Guardian, and on the front page of The New York Times Book Review. One of his New Yorker contributions, “Every Good Boy Does Fine,” forms the basis of a memoir for future publication by Random House. Recounting his experiences of touring, performing, and practicing, his blog, Think Denk, was recently selected for inclusion in The Library of Congress web archives. For his work as a writer and pianist, Out magazine included Denk on its “Out 100” list celebrating the most compelling people of 2013. In 2012, Denk made his Nonesuch debut with a pairing of masterpieces old and new: Beethoven’s final Piano Sonata No. 32, Op. 111, and György Ligeti’s Études. The album was named one of the best of 2012 by The New Yorker, NPR, and The Washington Post, and Denk’s account of the Beethoven sonata was selected by BBC Radio 3’s Building a Library as the best available version recorded on modern piano. Denk has a long-standing attachment to the music of American visionary Charles Ives, and his recording of Ives’s two piano sonatas featured in many “best of the year” lists. In March 2012, the pianist was invited by Michael Tilson Thomas to appear as soloist in the San Francisco Symphony’s American Mavericks festival, and he recorded Henry Cowell’s Piano Concerto with the orchestra. Having cultivated relationships with many living composers, he currently has several commissioning projects in progress. Denk has toured frequently with violinist Joshua Bell, and their recently released Sony Classical album, French Impressions, won the 2012 Echo Klassik award. He also collaborates regularly with cellist Steven Isserlis, and has appeared at numerous festivals, including the Italian and American Spoleto Festivals, and the Santa Fe Chamber Music, Verbier, Ravinia, Tanglewood, Aspen Music, and Mostly Mozart Festivals. Jeremy Denk has earned degrees from Oberlin College, Indiana University, and the Juilliard School. He lives in New York City, and his web site and blog are at jeremydenk.net.